I adore my family, but Lord Almighty, some days. I don’t think I even need to finish that because I’m pretty positive that most of you could finish it for me. For days where its a “some day,” there’s nothing more that I love than to climb in a hot bath with a relaxing soak to just let the stress and everything fall off. With a good book and some good tunes? I’m golden. What I don’t like though is bath soaks that have who only knows what in them. Sorry, but if I’m going to soak in something, I want to know what’s in it. Skin is porous and that means that if there are any chemicals that don’t react well with my body, there is a good chance of my body absorbing them. 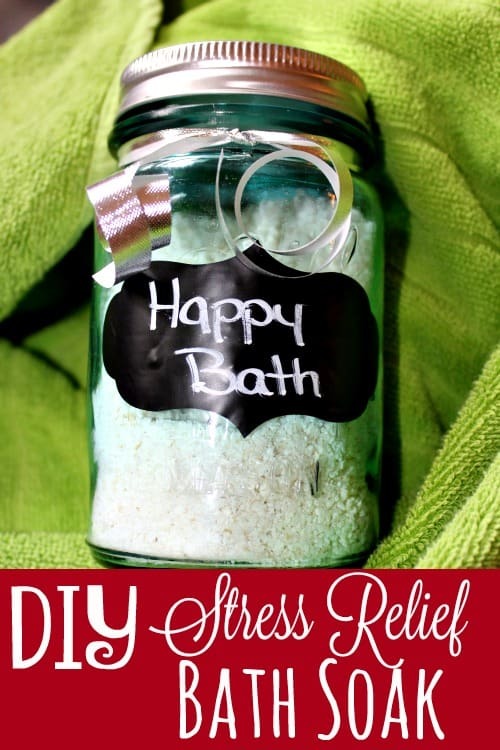 That’s why I’m totally head over heels in love with this DIY Stress Relief Bath Soak recipe. 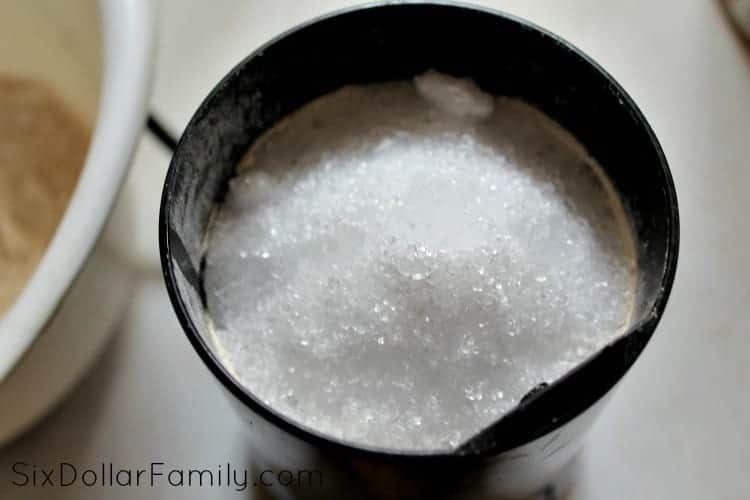 When you make this oil, you’ll use several essential oils, but that means that the great thing about this diy soak is that you don’t actually have to use it as a bath soak. You could use it as a foot soak too. Either way, as long as the water is hot and you can smell the scent, you’ll get all of the benefits. That makes it absolutely amazing in my book because there are some days where I don’t have time to soak in the tub, but I absolutely can find time for a quick shower and a foot soak while I’m working. Like I said above, this recipe uses several oils. Each one is in the recipe because of the properties that they are known to have. Lavender is known for calming and relaxing. Orange oil has properties that help lift your mood. Frankincense has been found to stimulate areas of the brain, the hypothalamus and pituitary glands, to help lower anxiety and relieve depression. Vitamin E oil helps to soften your skin. Epsom salts help to remove toxins from your body and the oats and powdered milk help nourish your skin. Each ingredient helps contribute to the calm and stress relief that this soak provides. Give it a shot! I’m 100% positive you’ll love it! 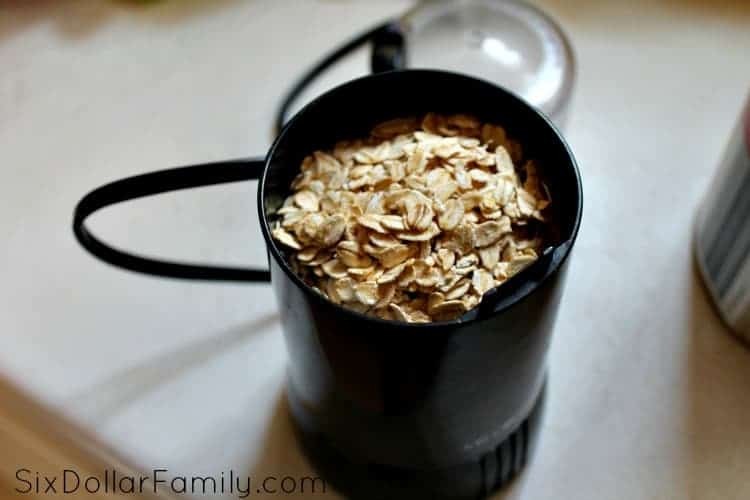 In a coffee grinder, grind the oats until they’re finely chopped. 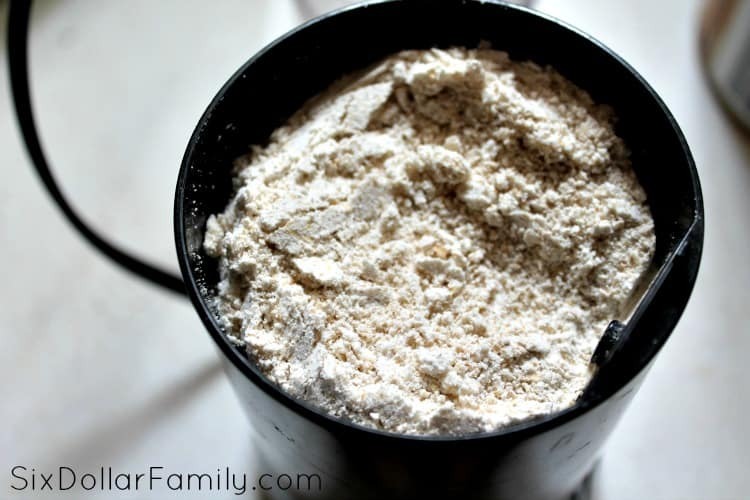 Add the Epsom salts, powdered milk and all of the oils and grind to a fine powder. Once you’ve grinded the mixture as finely as you can get it, pour it into a bowl and give it a good stir or two to really get it mixed in together. Then, pour into a mason jar or another air tight container. Seal and you’re done! To use, add around 1/4 cup to a hot bath and soak! Enjoy!